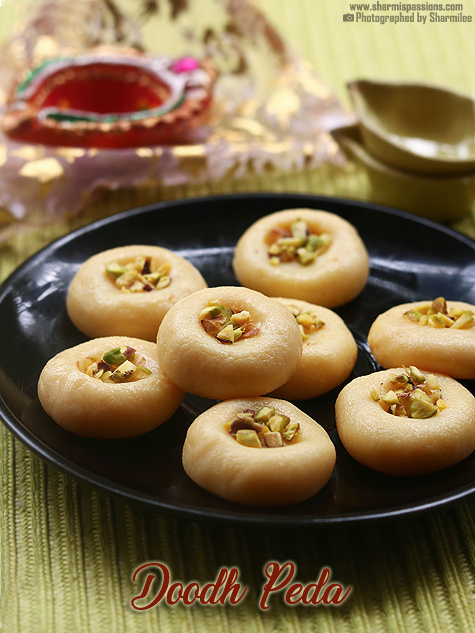 Milk peda recipe a easy and quick peda you can try. 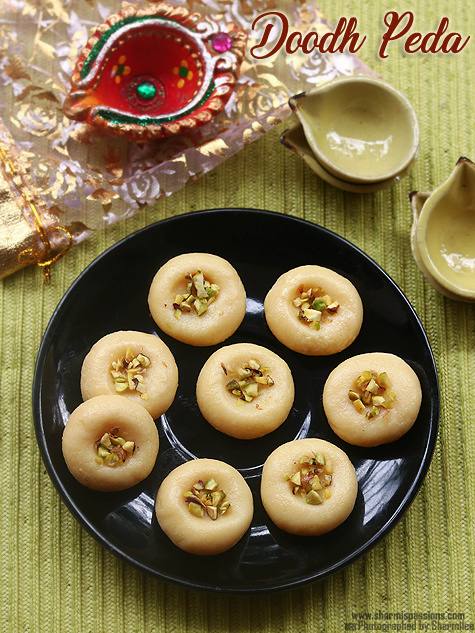 Doodh Peda or milk peda is a very popular sweet made for Diwali.This is made with condensed milk and milk powder as main ingredients. 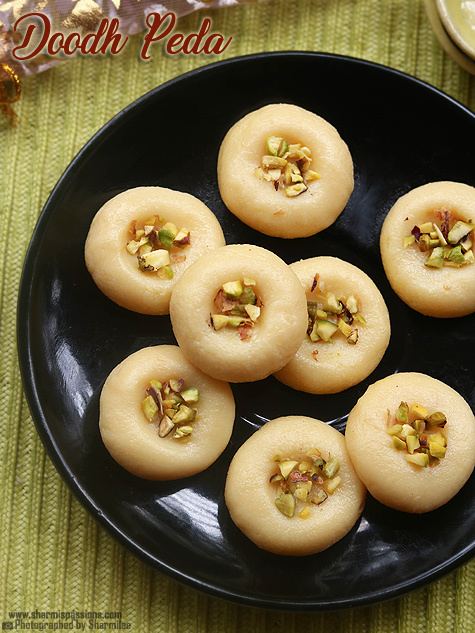 I love any milk sweet so thought to give this peda a try.I usually don’t get tempted to attempt recipes with condensed milk in it.But then when we are pressed for time and have other works during Diwali sure these easy sweet recipes do come handy. 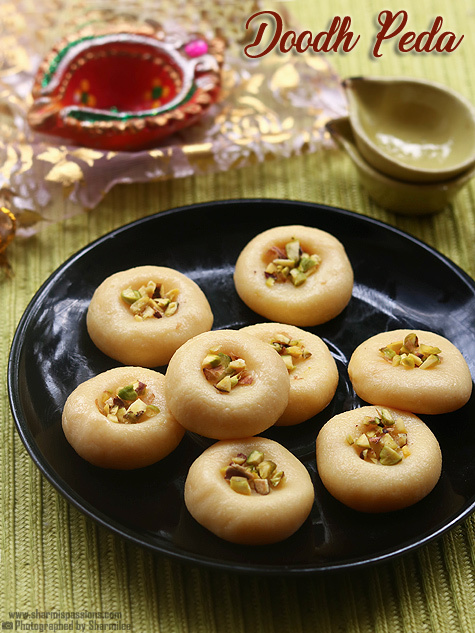 Doodh peda makes more quantity and keeps well for more time so you can pack and gift these yummy pedas for your friends and relatives, this is a perfect sweet for gifting! 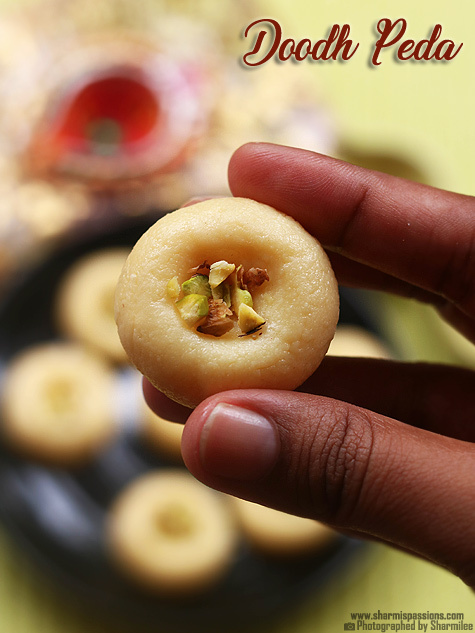 Trust me this is a very easy sweet that you can try for diwali, no messing up or no consistency checks, I have given even the trouble shooting tips in my notes section 😉 incase you come across any doubts while making this peda. 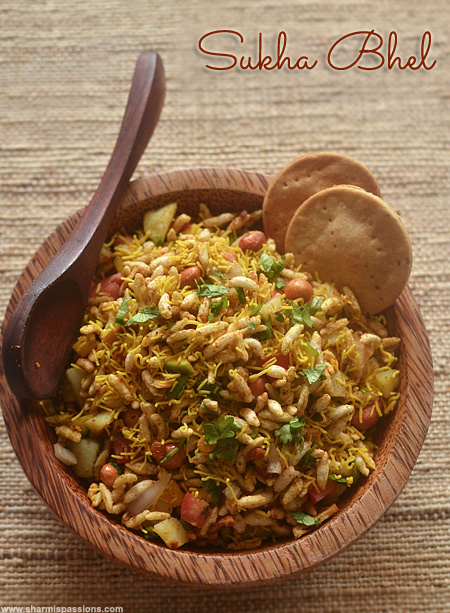 Soak saffron in warm milk and set aside.Chop the pistachios finely, keep aside.In a pan add condensed milk,milk powder and saffron milk. Mix well so that there are no lumps, this should be done even before switching on the flame.Now switch on the flame and keep cooking.Keep cooking, it will first become thick add ghee and keep cooking till it start to leave the sides of the pan. Once it starts leaving the sides of the pan, keep stirring.Keep cooking until you see a thick mass slightly sticky, try to take a small portion roll it and check, you should be able to form a ball.This is the correct stage. Switch off and let it cool down for 15 mins.When it is still warm, first your hands with ghee then pinch small lemon sized portion. Slightly flatten it.Make a small dent in the centre, add chopped pistachios and arrange in a clean plate.Repeat the same until the entire mixture finishes.Leave it to set at least for an hour.You can even refrigerate it for a while.It will look moist for a while then will become dry after an hour or so.The pedas will be chewy while shaping them but after an hour you will get the perfect texture. My milk powder was smooth so I didn’t grind it.If your milk powder is little coarse then grind it once to get a smooth powder. Don’t panic if the mixture doesnt hold together to form a ball, just cook further for a while again and then try.Once the mixture is switched off it will look a bit runny, leave it to rest by the time it hardens and makes it easy to shape. I used half of the mixture for making chocolate peda. For this measure you will get 15 small pedas in total.The number of pedas depends on the size you make too. If the mixture is dry and if it cracks when you shape them, add little milk mix well to get a smooth texture but if you add milk shelf life will be less. It will look shiny and sticky while making balls, so grease your hands well while shaping them. It takes atleast an hour to get set to get the perfect texture. If you taste it once you shape them the taste will be good but the texture will be chewy so always let it rest for an hour before serving. 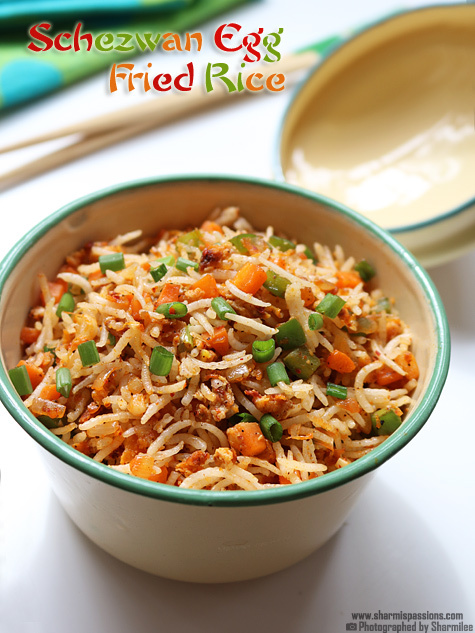 If you refrigerate it, bring to room temperature while serving else the pedas will be hard. Always cook in low flame to avoid burning at the bottom. Lovely pictures. Am going to try it soon. Quick and easy peda…pretty pics!! My peda is too much sticky while eating.what had gone wrong? 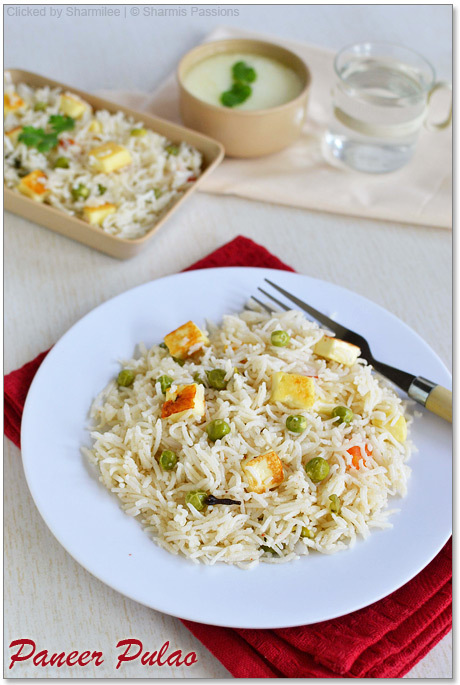 May be its undercooked….Did you leave it to set, even after that if its like that then it must be undercooked…. Lovely.. Tried in the microwave following the same measures and had similar results. hi sharmi,thanks for the recipe.i want to try this for deepavali,by doubling quantity.can i just double all the ingredients and make? and can i make it as square shaped as we get in the sweet box.for the that it has to be cooked as u have given or have to be cooked little bit more time.please clear the doubts ASAP .thanks in advance. 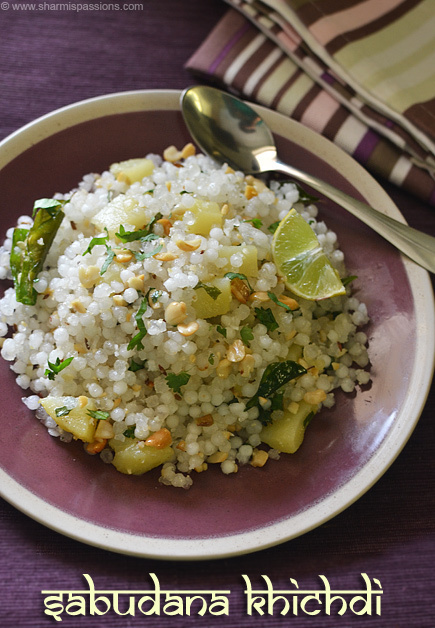 Hi, will try your recipe for this Diwali. Seems simple. hi sharmini tried this yesterday.its chewy like milk chocolate.but taste is good,i dont know where i went wrong,i was able to roll into a ball.then only i switched it off. Oh not really sure harini, it takes time to get set but sure the texture should not be chewy…. I am really not sure of substitutes here…. Will sweetless milk powder like nido will give the same taste? I tried bundi. 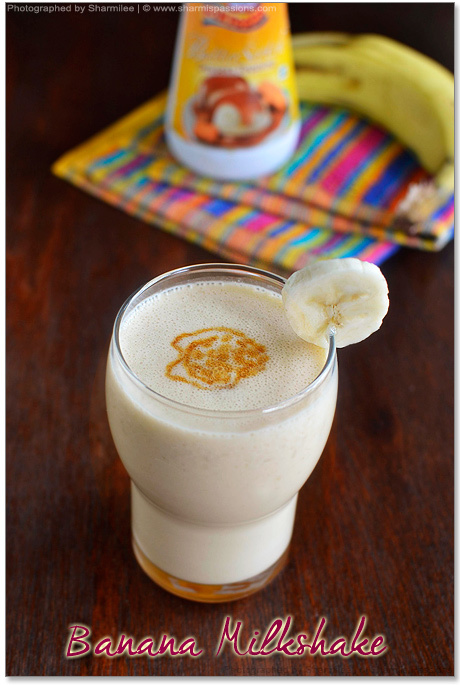 It is an excellent recepie I also tiried doodh pedas but it was sticky like chocolate. I followed your tips religeosly.You can figure out the taste of milk pwd also. I don't Know where I have gone wrong. Not sure what went wrong….was it undercooked?! The usage of saffron in milk peda is necessary? If we skipped saffron will it make any difference?? Oki thank you..will definitely try for this Diwali..plz one question more..so in shops also all peda's are made using condensed milk?? I never thought about that..that's why I asked ..
Can I add food color to this sweet? Will it stay good for a week with food colour? 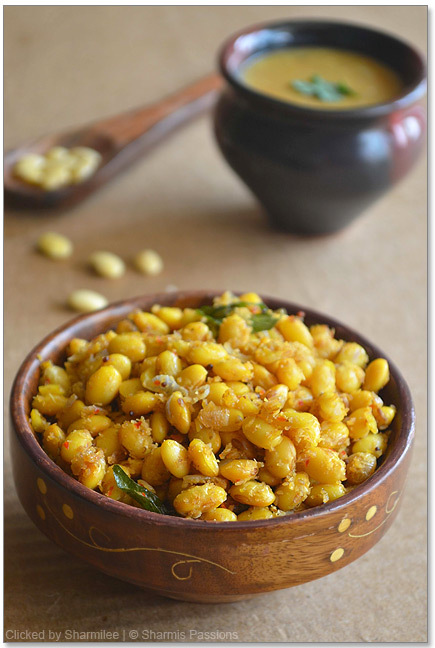 Superb recipe. Tasted sooo good. Milk powder means its mava powder ? ?